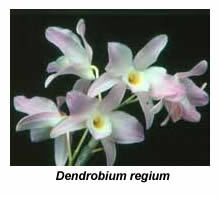 The soft-cane or nobile-type dendrobiums come from temperate regions of India, China and Malaysia. 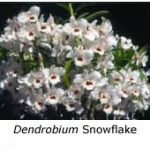 Their range extends from the lower Himalayas in northern India to the western side of the mountain ranges of the Malayan Peninsula, where they are found at altitudes of 1000-1200 m. The species from which many of our modern hybrids have been produced include Dendrobium nobile, D. heterocarpum, D. wardianum and D. regium. Older hybrids include D. Lady Coleman, D. Gatton Monarch and D. Terrence Read, while newer ones include D. Akatuki Queen, D. Fort Plum and D. Yukidaruma. 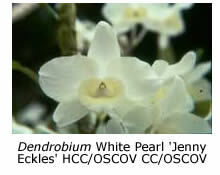 In their native habitat these soft-cane dendrobium species are exposed to extremes of temperature and rainfall. Summer temperatures may reach 40˚C, while 0˚C is not uncommon in winter. 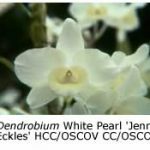 Bearing these conditions in mind, it can be seen that the area from Southern Victoria to New South Wales is quite suitable for growing soft-cane dendrobiums. The usual retort to this statement is that many people are able to grow these plants but few can flower them, and all want to know the magic ingredient for success. As far as I am concerned, there are three magic ingredients, and they are sunshine, more sunshine and even more sunshine! If you grow soft-cane dendrobiums in shady conditions, you are doomed to disappointment. You will produce lovely tall, green canes that will produce hundreds of keikis but very few flowers. I have tried growing these orchids under semi-shaded conditions, and it just does not work. To grow and flower them successfully, I exposed them to sunlight all day long. I was fortunate in working for a large Melbourne institution that has glasshouses and shade-houses situated in the open, away from the shade of trees and other buildings. Under these conditions the plants produced short, plump canes of a lovely golden-yellow colour. Such canes can’t help but flower! Compost . My potting mix usually consists of equal proportions of stone and wood. The stone may be scoria, blue metal or river pebbles, and the wood either pine bark or red gum chips, each of about 12 mm diameter. I make up the mix in brick compost bins on a concrete base, and leave it to weather for as long as possible before use. A rubbish bin full of fowl manure is usually added to each cubic metre of mix before use. I re-pot my plants in early summer, soon after they have flowered. Then I add half a teaspoonful of Nutricote® slow-release fertiliser (8-month, N:P:K = 13:6:9) to each 125-mm pot (I prefer to use squat pots, because they are more stable). 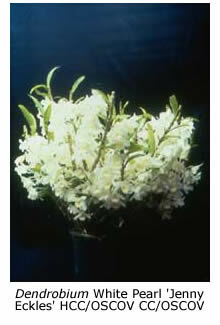 Plants that do not need re-potting are given the same fertiliser treatment. I rarely apply liquid fertilisers but occasionally I apply a solution of potassium orthophosphate at a concentration of one teaspoonful per 10L to promote flowering. Light . I prefer to grow my plants outdoors under 30-50% shade cloth during summer so that they are exposed to whatever changes the weather brings, as this seems to make them grow more strongly. I like them to experience a few cold nights in autumn, as this drop in temperature terminates their growing tips and initiates their flower buds. As soon as I see their buds forming, I move the plants into the glasshouse, where I can watch them more closely. As soon as frost is likely, all the plants are moved under cover. If a plant has not terminated its upward growth, then I break off its growing tip to prevent it growing too tall. A glasshouse is not essential but I was fortunate in having the use of heated glasshouses, so I made use of them. However, some of my acquaintances grow their soft-cane dendrobiums in unheated houses with fibreglass roofs and white shade-cloth walls, which provide good light and air circulation. 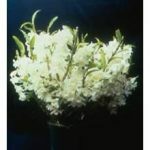 During winter my plants grew under clear glass but in spring I applied a light coating of whitewash to the glass, as this helps to increase the size and intensify the colour of the flowers. Plants grown in a heated glasshouse over winter will flower earlier than those grown without heat, and the new growths will ‘kick away’ sooner. However, I stress that supplementary heat is not essential and that I have seen plants grown under cool conditions flower well. It’s important that light should reach all parts of the plant if it is to flower optimally. Plants that have been closely crowded generally produce their flowers only from their exposed upper nodes. Water . 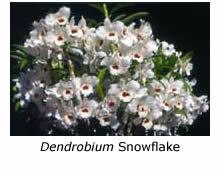 Soft-cane dendrobiums grow rapidly during summer and rest during winter, and should be watered accordingly. Generous amounts of water are needed in summer, much less in winter. I do not withhold water completely in winter (as some growers do), because I prefer the canes to remain plump. If the canes have received sufficient light in summer, and the buds have been initiated by exposure to cold weather, a little water in winter will not transform those buds into keikis. Pests and Diseases . Occasionally I find the odd plant being attacked by mealy bugs, which can easily be controlled by spraying with a mixture of Clensel Garden Insecticide® and white oil according to the maker’s instructions. If the plants are not watered adequately during summer, red spider (two-spotted mite) may become a problem. The leaves should be hosed and a high level of humidity maintained to minimise this problem. Predatory mites may also be used to control red spider. An insecticide, such as Pyrethrum, may be used to control caterpillars and other chewing pests. Soft-cane dendrobium leaves sometimes develop fungal spots but this should not become a problem if there is adequate ventilation. I never apply fungicides, relying on good management to keep fungi at bay. To Sum Up . 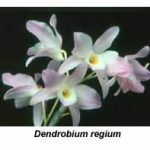 Soft-cane dendrobiums may flower as early as August or as late as November, depending upon whether they have been grown warm or cool. They are not difficult to flower. All they need is lots of sunshine, and that’s free!